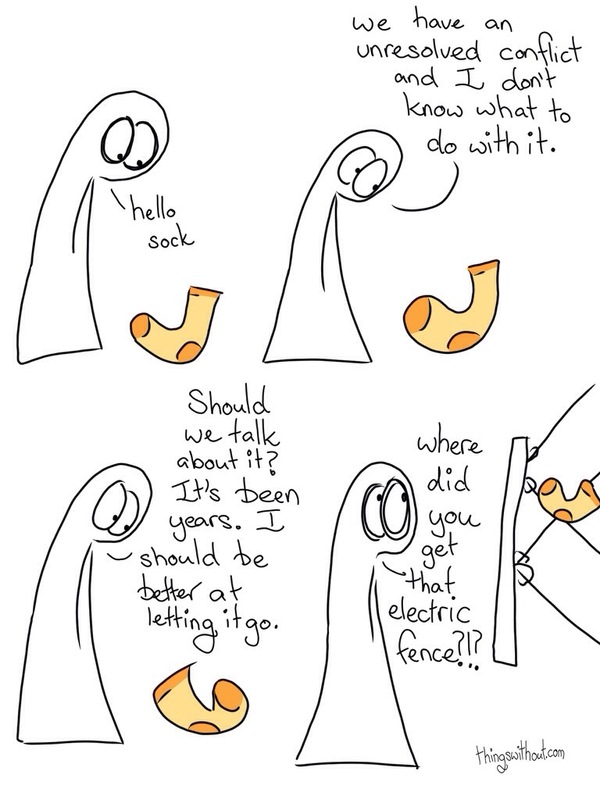 In October 2012 sock sat on electric fence as part of the “Do Not Lick The Electric Fence” theme I was exploring. This led to an unresolved conflict with a sock. I was going to do more with it, but it’s hard when feelings and relationships are complicated and I just couldn’t get it right. Now, two years on, one of the Things is trying to articulate how betrayed they feel about how Sock encouraged them and just let them lick the electric fence. Sometimes it takes a little time.